Services for Mr. Dean Greer will be held at the Croley Funeral Home Chapel in Hawkins, Texas on Monday, April 15, 2019 at 11:00 AM with minister Mr. Neal Thurman of the University Church of Christ officiating. Interment will follow at Chilton Cemetery in Big Sandy, TX. 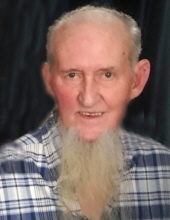 Dean Greer, 84, was born December 23, 1934 in Upshur County and passed away on April 12, 2019. He was a resident of Tyler, Texas and a tool & die maker for 30 years with General Electric/Trane and then American Standard. He was an avid golfer and enjoyed playing at Pine Springs Golf Club. Dean loved the beauty of Gods creation and took many camping trips with his cherished wife, Ann. As a young man Dean was called to serve the Lord through bi-vocational kingdom work as a preacher. Dean was also a long time member of Old Omen Road Church of Christ and Glenwood Church of Christ. He loved the Lord and shared that love throughout his life on earth putting others before himself. Dean’s faith and trust in God never wavered because he was “Standing on The Promises of God” and Christ His Savior! While family and friends grieve and mourn in Dean’s passing there is peace, comfort, and joy amidst the sadness since there is “Blessed Assurance” in knowing their dear Dean and beloved Deano is healed and enjoying being with his Lord and Savior in Heaven. Deano has already reunited with loved ones who preceded him. There will be an even greater reunion “When We All Get To Heaven”! Dean made many fun precious memories through his playful nature. He enjoyed being called Deano by many. As grandchildren and great grandchildren arrived he was excited to introduce himself as “Daddy Deano”. There was lots of love and fun shared together with Deano who was very fond of his children and grandchildren! Mr. Greer was survived by his wife Eva Ann Greer of Tyler, sons: Roy Greer and wife Vickie of Ben Wheeler, George Greer and wife Angie of Arp, and David Greer and spouse Jan of New Ulm, daughter: Elizabeth Weakley and husband David of Temple, grandchildren: Mindy Kent and husband Korey, Robert Weakley and wife Crystal, Callie Haas and husband Kevin, Gracie Greer, great-grandchildren: Kruze Kent, Laiken Kent, Ainsley Weakley, Margaret Weakley, Calvin Haas, Kevlie Haas, Colton Haas, and Kylee Haas. Dean’s family is thankful for all of the love and support from everyone and have felt all of your thoughts and prayers. These have been a true comfort as the family grieves. The ministry of University Church of Christ and others is greatly appreciated by all. Dean’s family also extends appreciation to all the physicians, nurses, and medical personnel at Christus Trinity Mother Frances, especially nurses Jessica and Cheryl. A special thanks to his primary care physician, Dr. Julia Hwang, for the many years of her loving care and concern for Dean. To send flowers or a remembrance gift to the family of Clay Dean Greer, please visit our Tribute Store. "Email Address" would like to share the life celebration of Clay Dean Greer. Click on the "link" to go to share a favorite memory or leave a condolence message for the family.